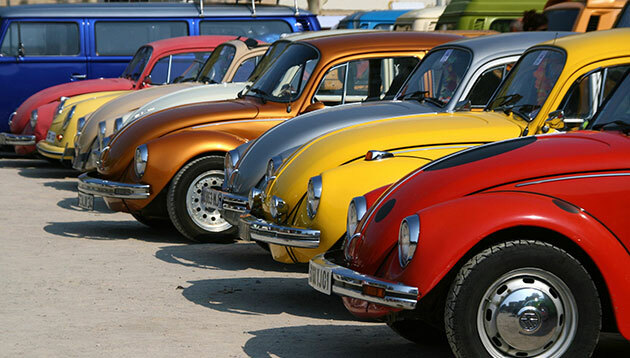 Volkswagen recently raised eyebrows when it announced that the iconic Beetle compact car will be discontinued next year. Developed in the 1930s, the Volkswagen Beetle became a symbol of the baby boomer generation in the 1960s, and has sold over 500,000 units worldwide since 1998, according to Reuters. It was phased out in the 1970s when the Volkswagen Golf became more popular but was brought back with a new design in 1998, The Telegraph reported. Now,20 years later, consumers are having to say goodbye to it all over again. 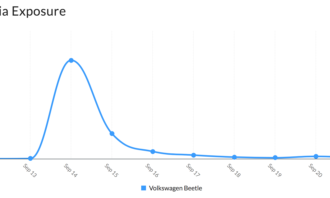 According to statistics from Meltwater gathered from 12 to 21 September 2018, online mentions of Volkswagen and the Beetle peaked on 14 September, the day the announcement was made, with over 7.7k discussions. It subsequently tapered off from 15 September onwards. 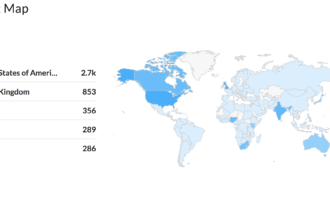 Approximately 2.7k of the mentions originated from the US while 853 came from the UK. 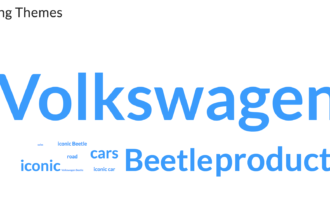 Trending themes during the period included “Volkswagen”, “Beetle production” and “iconic”. 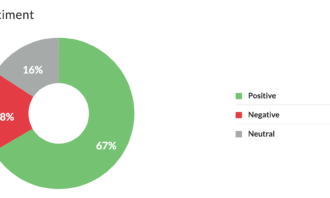 Interestingly, 67% of the social mentions were positive, with some netizens looking forward to having the electric car and the special edition cars. Meanwhile, head of Volkswagen America, Hinrich Woebcken said as the company bolsters its electrification strategy, there are no plans to replace the Beetle. According to Reuters, Woebcken noted that Volkswagen is looking to produce an electric vehicle similar to that of the I.D. Buzz, a prototype for the 21st century reincarnation of the microbus. Volkswagen will produce two special models – Final Edition SE and Final Edition SEL – in the US and will offer driver-assistance technology. President, SE Asia Pacific and Japan at Landor, Nick Foley, said that given Volkswagen has phased out the Beetle before, just as it has with the iconic Kombi station wagon, the company should manage to do it again “without too much fuss”. He said that both Volkswagen and BMW experimented with the retro car launches around the turn of the century and in both cases, the makeovers of previous launches were well-received. He added with the initial comeback, Volkswagen had the “good sense” not to try and proliferate the Beetle. “By and large the retro Beetle launched in 1998 has only had some minor facelifts and maintains a lot of its character from the 1998 second coming of age,” Foley said.He cited revenue and profitability as the top two aspects on Volkswagen’s list when it comes to keeping any car model going. In addition to these, relevance to the target market will also be a key factor, which Foley suspects might be one of the reasons that has led to discontinuation of the Beetle. Similarly, he noted that Land Rover also retired the iconic Defender in 2016 when the chasis did not pass the European Union crash test criteria as it was too rigid. While the spotlight might be on the Beetle for now, Foley said the brand that Volkswagen would really need to be concerned about phasing out is the Golf due to its “infinitely broad appeal”, compared to the “iconic, retro and niche” Beetle. However, he does not think there is a risk of that happening anytime soon. Meanwhile, Luke Lim, CEO of Louken Group, compared the synonymity of Volkswagen and Beetle, to McDonald’s and the Big Mac. “Taking away the Beetle will possibly shake the brand’s frame of reference and could also signify a progressive or big change that might be coming at Volkswagen,” he said. According to Lim, factors that Volkswagen might need to take into consideration in light of the move are the repositioning of the company’s branding, which might involve the change of product assortment, as well as marketing campaigns to raise awareness about the new products. Iconic brands like Beetle trade as much on nostalgia as they do on being contemporary. 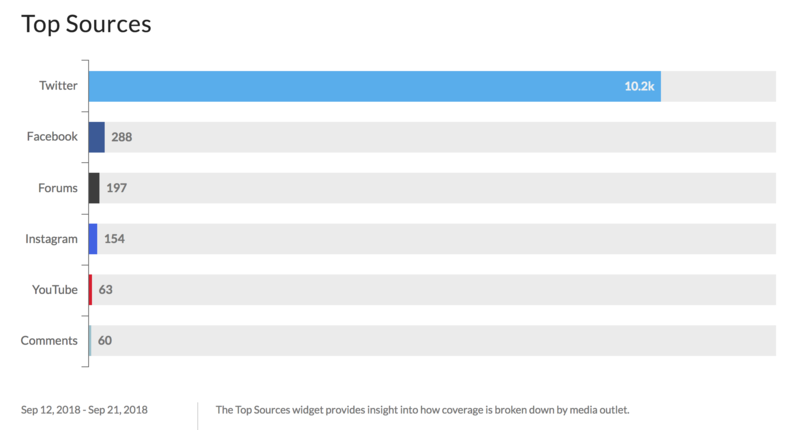 Inherently then, a certain amount of induced rarity is useful to make people realise how much they really do care about the brand, Chaudhry added. As such, Volkswagen’s kept the door open on a newer version of the Beetle even as he announced the discontinuing of the line. “In effect, the Beetle may have almost done enough to reintroduce itself to a new generation in a favourable light. So don’t be surprised if, just like yet another remake of Godzilla, the Beetle is reintroduced to the next generation of customers at some point in the not so distant future,” he said. Earlier this year, Volkswagen launched a global creative review to centralise its marketing function on regional levels.The news came after Volkswagen appointed brand chief Herbert Diess as CEO and chairman, replacing Matthias Müller, who took on the role in 2015. In Singapore, Volkswagen works with Tribal Worldwide Singapore. This was after a pitch process last year to spearhead brand campaigns as well as retail marketing programmes for all business divisions, including new and used car units. The new language option was put together within two months, with the Waze localisation team adapting and adjusting the simplified .. 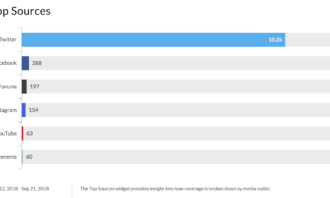 The expanded partnership marks the first ever regional contract between both parties spanning six countries including Malaysia, Si..
Tableau Software has launched Vizable, an entirely new mobile application designed to help make data analysis easier on an iPad fo..